June | 2011 | ohdenny. I’m just such a sucker for macarons. I just love how creative people can be with them and the many different flavours and combinations that can be made with them. I recently came across Gânache Chocolate on Collins St, close to the corner of Collins and Swanston. I didn’t get to try their chocolates, and their cakes look really appetising but I wasn’t in the mood at the time. I think they only recently opened and by recently as in within a year but I can’t be too sure. 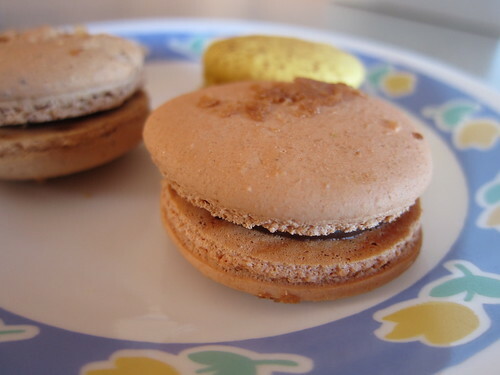 Macarons, however, I will always snap up that opportunity. There were 6 flavours to choose from but I can’t really remember them all that well. From memory, there was Passionfruit, Hazelnut, Coffee, Chocolate, Vanilla and Blueberry variations. I picked up the Passionfruit, Hazelnut and Coffee and they all had quite a good taste and texture and just how I like them to be. 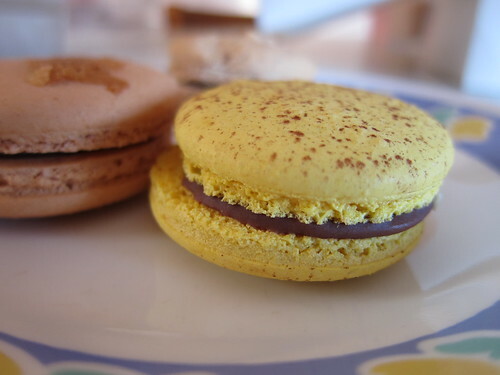 The Passionfruit Macaron, I’d prefer a jam of sorts for the filling but of course, I was at a chocolatier, and what else are they famous for? It was still really fresh and just had a nice balance between the creamy texture of the chocolate with the crunch and chewiness of the shell. Similarly, the hazelnut and coffee ones were just as good and being know for their chocolates, of course the chocolate taste would stand out! Definitely one of the better servings in the CBD. I’m going to go see their cakes and chocolates next time I’m around there so be on the look out for that post in the future. They also have a store in South Yarra, check out their website for details on the address of that one. 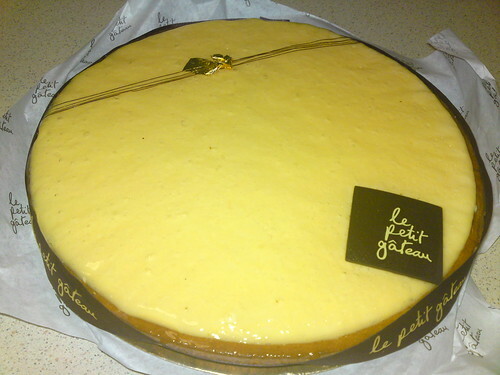 Le Petit Gateau is a small well known patisserie on Lt. Collins St in Melbourne. 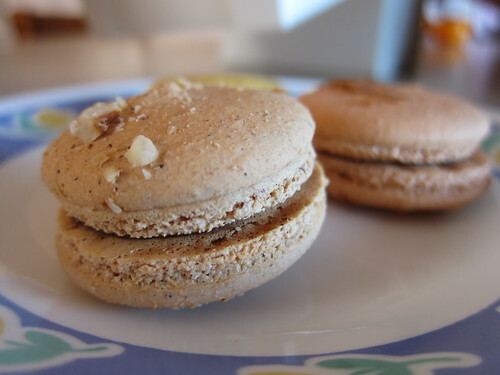 As I’ve mentioned before, their macarons are really good but what they are known for is their delicious cakes. Their Praline Mud Cake is a definite must try so please go visit this shop when you have the chance, and despite their need to increase prices nearly every year, I think it’s still worth it. Their Crisp Lemon Tart is only available in one size, unlike the other cakes. I’ve always had a liking for lemon because of it’s sour, acidic taste and combined with sweet desserts, it’s the perfect combination. I actually bought this for my birthday because of my love of lemons. If you were old enough to watch Rugrats as a child, I will always remember this one part where they made lemonade and it made their face all scrunchy. Haha. Back to the tart though. The pastry is unbelievably good. It’s just so delicate, but filled with flavour and the lemon curd is both sweet and tangy. Just how I like it! It is covered with a nice glaze of some sort, but I’m no expert as to what that’s called but it adds another layer to it. One thing that might be of concern is that you can’t save it in the fridge! Or my fridge just adds too much moisture to it and makes the pastry too wet and the bite and crunch of the base disappears. So it’s unfortunate I couldn’t savour the taste for many days. 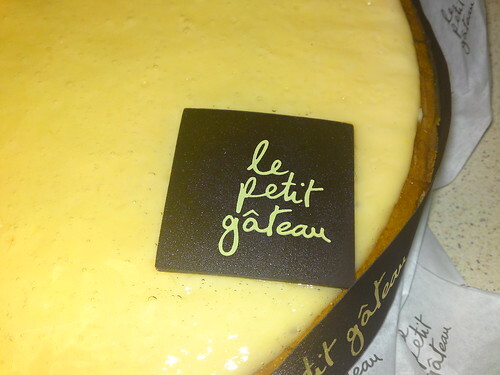 Overall, it’s one of the best lemon tarts out there and Le Petit Gateau just make top quality, delicious products that everyone with even a slight sweet tooth will love. 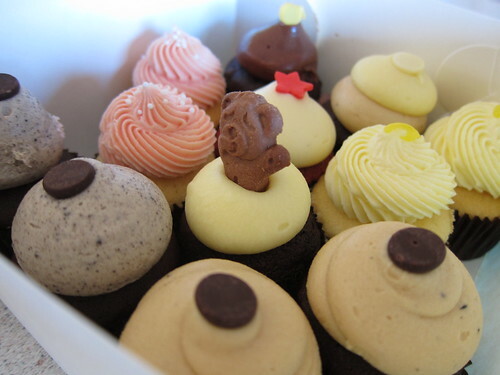 Little Cupcakes is a famous Melbourne bakery, dedicated to cupcakes, as expected by its name. It’s been on Postcards, and it definitely has gathered quite a following for those wanting a cute and celebratory birthday cake in the form of cupcakes. Located in one of Melbourne’s most popular laneways, Degraves St, and close to Flinders St station, it is conveniently located and that just might be a bad thing as you’ll definitely be coming back for more. 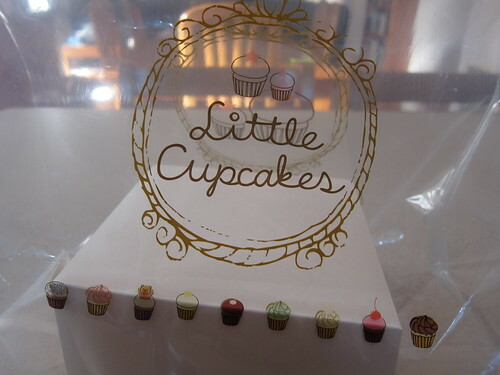 One of the best things about Little Cupcakes, is its tiny bite sized cupcakes, that are almost too pretty to eat. Almost. 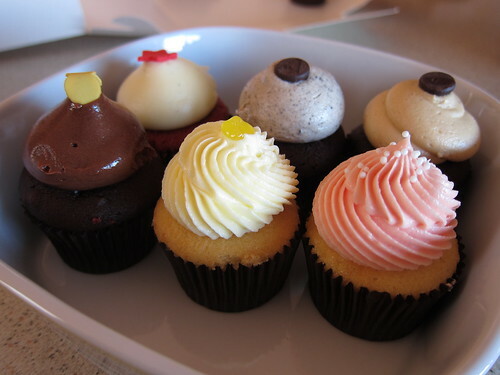 This bakery has a wide selection of flavours, ranging from the decadent chocolate cakes, to the lighter lemon and vanilla cupcakes, and for those veggie lovers, a carrot cake. 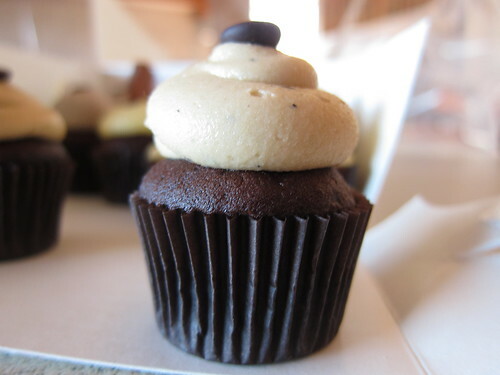 This one above was the Mocha (I believe), and I must say I was pleasantly surprised by the cupcake itself. The icing on top for me anyway was a tad too sweet but it had had a nice hint of coffee, I would have liked it to have a bigger punch though. 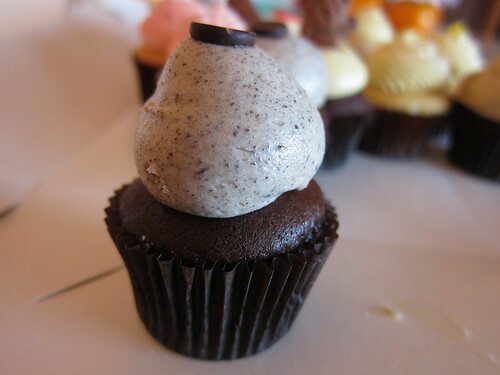 What I absolutely loved about the chocolate mud cake cupcakes, is how moist they are. It’s not too heavy, it’s fluffy and just nicely melts in your mouth without the dryness of most mud cakes I’ve eaten. 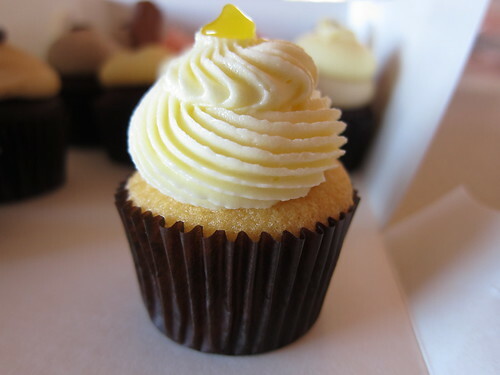 The Lemon cupcake, is a classic butter cake with a lemon frosting. I must admit, I’m a fan of all things lemon flavoured, but it has to taste like a lemon with the sweet, acidity and sourness that a lemon is. So it’s always disappointing to have a lemon frosting reduced to pure sugary sweetness, and makes the lemon taste almost fake. Unfortunately, this was what it was like, and the butter cake was quite dry too so it wasn’t a great one to be honest. I do hope I just got a bad egg. 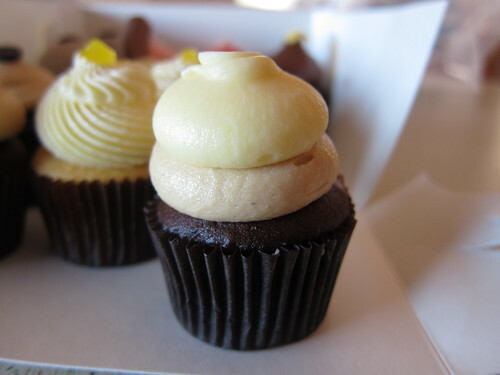 The Cream Latte one is quite similar to the Mocha cupcake, and again the cake is just so moist. It’s really quite the delicious tasting experience, topped with a nice coffe and cream frosting. It’s just a pleasant cupcake to eat. I love my cookies and cream ice cream, and so I was hoping the taste of that would translate into a nice frosting. Was slightly disappointed it lacked the creaminess and cookie crunch of cookies and cream, and lacked a bit of that flavour too. It was mostly sweet, but again the cake was deliciously moist. This buttercake may have been from the same batch as the lemon one, the strawberry frosting on the other hand, was quite pleasant and you could taste an authentic strawberry flavour so even if the cake was dry, it was made up nicely by the sugary creaminess of the frosting. 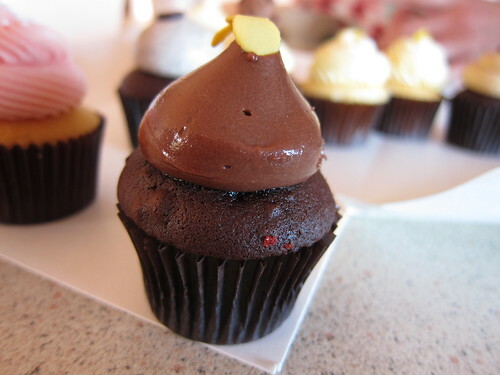 This was a Belgian Chocolate cupcake, with a moist chocolate cake and topped with a dark belgian chocolate frosting. It was quite good to be honest. Usually I’m not a fan of chocolate on chocolate desserts as it’s just a chocolate overload but the frosting wasn’t overly sweet, it had a nice smooth and silky texture and taste to it. Plus it had an excellent moist cake base, so it was a real winner. I saved the best for last. 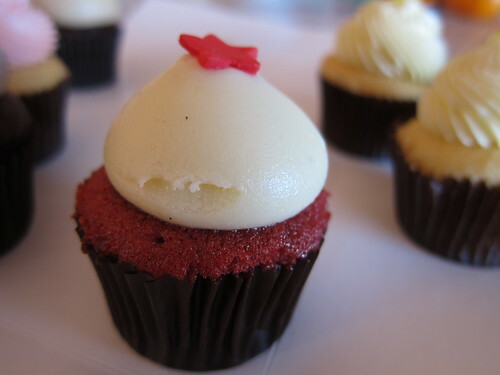 This Red Velvet cupcake, consists of a cocoa butter cake with a cream cheese frosting, and my oh my was this good. As you probably noticed, I’m not a real fan of just sugar overload, I do like balance and this Red Velvet little cupcake delivers. The cake itself was moist, maybe not as moist as the chocolate counterparts but definitely nicer then the butter cakes on offer. It wasn’t too sweet either, and the cream cheese frosting was just pure goodness. It also wasn’t half as sweet as the frostings on the other cupcakes I tried, it had a nice creaminess to it and was just what I wanted in a cupcake. 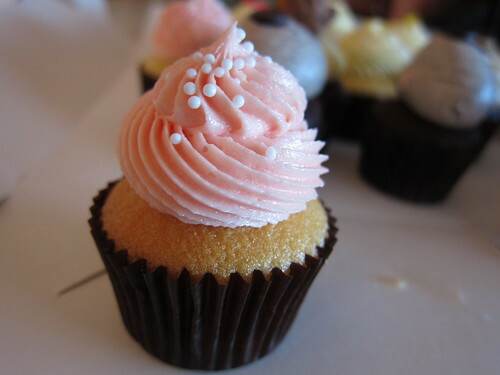 A cupcake that isn’t too sweet, moist, and has a nice texture and taste to boot. It also looked great. I definitely would go back for these, and they seemed quite popular too as when we went there, we took the last one available. There are also stores on William St and Queen St (Closed on weekends), check out their website for further details. 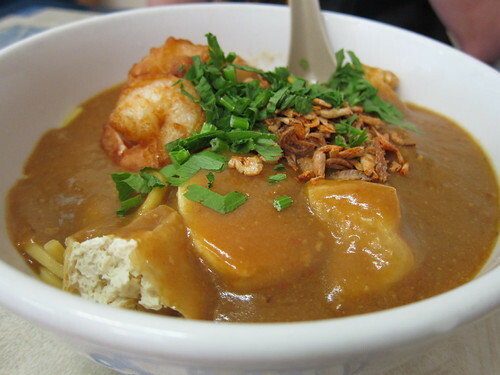 Sambal Kampung is located in the heart of Melbourne’s Chinatown. 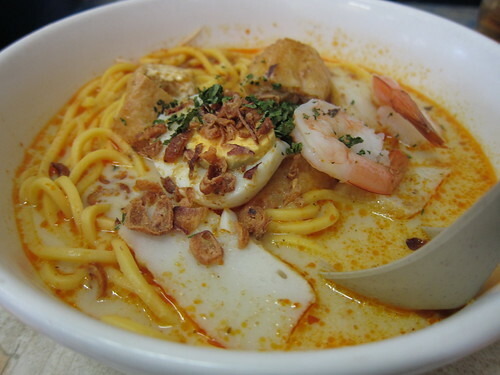 It is one of the few Malaysian restaurants that have opened up in recent years on Little Bourke St. It’s probably my most visited Malaysian restaurant in the CBD as there aren’t many Malaysian restaurants to choose from in the city. I believe there have been changes in menu and cooking over the years though so it can be a bit inconsistent and well, I went there a couple weeks ago and it definitely wasn’t as good as before. The image on top is of their variation of the Mee Goreng, and to be honest, it was actually quite good. 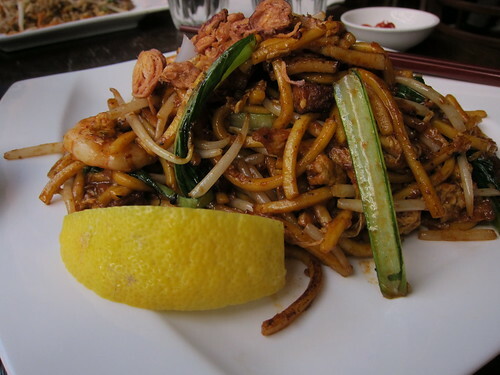 I’m not a big fan of the sweet and strong tomato tasting Mee Goreng’s, and in this dish it isn’t overpowering. It also has hints of chilli with it too, so that’s a plus. Squeezing some lemon juice on top also gives this dish an added layer of freshness over the slightly oiled noodles so overall it’s a balanced Mee Goreng. 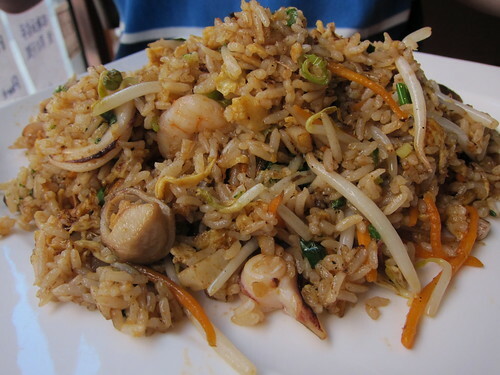 We ordered a Tom Yum Nasi Goreng, with seafood. I expected it to have a a really fake tom yum taste but again I was pleasantly surprised with how it tasted. It wasn’t too overpowering but you could definitely taste that it was tom yum and it had a great balance between the spicy, sweet and sour elements of tom yum. Matched with the nicelycooked seafood, it was quite a nice dish. Their satay snack dish is one of their newer menu items and it was again, surprisingly tasty with loads of flavour. The few negatives I would say about this was the actual meat was overcooked and a tad dry, and since there wasn’t really enough satay sauce to dip into, parts of the meat went without sauce and it didn’t taste as good. Also the fresh cucumber was soft when it should be crunchy with some bite to it. You could tell it was probably not at its peak ripeness. 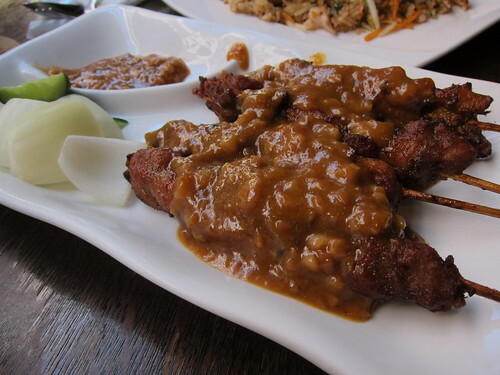 However, the satay sauce was the hero of the dish. It was packed with flavour. It had a strong nutty flavour, slightly sweet balanced against a great nutty and slightly viscous texture. I was a bit disappointed with their drinks menu. 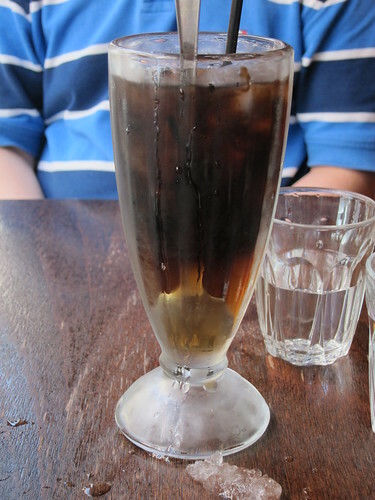 The black jelly drink had no sweetness to it at all, and was just ladled with ice so you didn’t really get your monies worth. 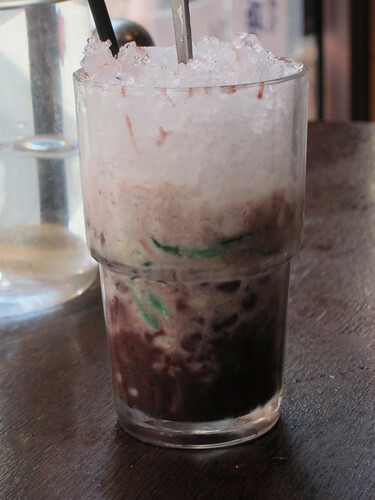 Same goes for the Three Colours drink, which had red bean, cendol, syrup and ice. It didn’t have the sweetness to make it nice, as the red bean and cendol aren’t sweet at all. 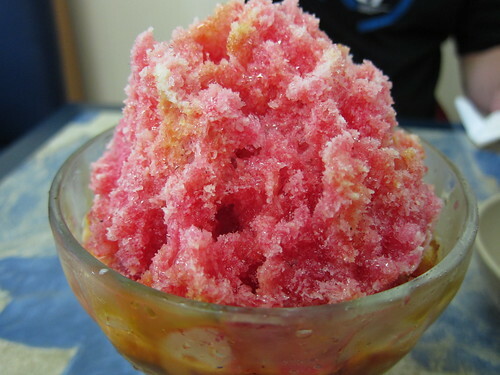 The loads of shaved ice also made this a difficult drink to well…drink. It just made what sweetness was existent disappear when the ice melts and so it was just kinda bland. As mentioned before, we ate here again and it was disappointing to see that their dishes just lacked the flavour that it used to have.